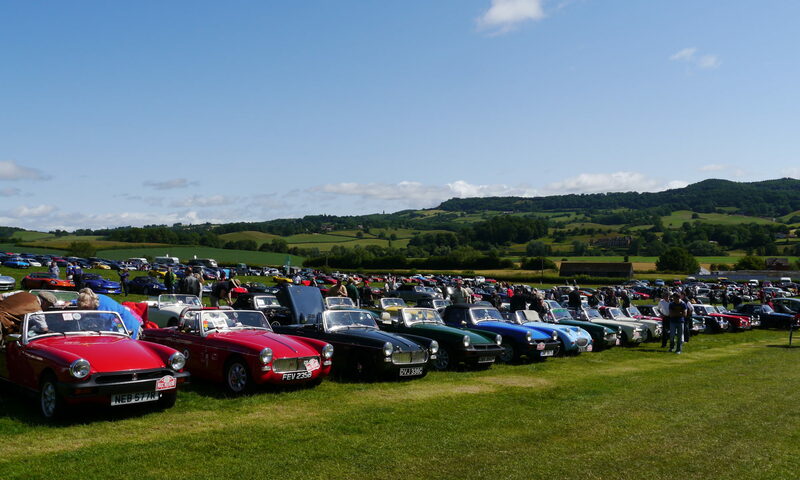 Lancashire Automobile Club has sent me a list of event /Runs they are doing this year, If there is any on the list you would like more information about do let me know and I will send out to you. I see there is a nice Scotland tour , for the brave I think 800 miles in 3 days, need a rocket ships not a Sprite !!!!. I thought your members might like to partake in some of ours. Fellsman 18th May – Start and Finish in Langho – this is one for the more navigationaly inclined choice of eithe Novice or Expert road books. Coast to Coast 13th July – Start from Morecambe finish in Sandsend. Highland 3 Day 20-23rd Sept. Around 800 miles round bonny Scotland. Also we will be at the Royal Lancs Show as usual – details to follow. Chris has sent us over the information for the start of the Valentines Day Run on the 17th Feb 2019. 12.00 Meet AVRO Aviation Heritage Museum SK7 1AG. We will be given a guided tour and I am negotiating photo opportunities for cars. Tea and coffee facilities there. Admission £8 each payable on door, with an extra nominal charge for visiting cockpits for those interested. Approx 2-3 hours I would have thought. Depart on 42 mile scenic Cheshire/Derbyshire route on good roads with breathtaking scenery including pretty villages, hills and reservoirs. Arrive Gun Inn at Hollingworth. Top car park reserved for us. Private dining room, Meals to be ordered in advance, Menu’s being e mailed to me later. Disperse. Pub only 1 mile from M67/M60 link so easy route home for all. At last night club meeting it was agreed to change the date of the Valentines Day Run to Sunday 17th February 2019. This is just an advance notice of the change to mark on your calendar , the final starting point will be sent out very soon , when you receive that Information and if you intend joining us, please let us know ASAP as Chris & Annette will need to book numbers with the pub at the finish of the day for the late lunch. Date of next club meeting !!!! Hi All . You may have noticed the first deliberate mistake of the year !! I did say we would be meeting at the Kilton Inn on the 10th Jan , well by now you will all have noticed that Wednesday is the 9th January 2019. Hello All and Happy New Year. Just a reminder on Wednesday 10th January is our first club meeting of 2019 @ the Kilton Inn near Knutsford on A50. As an area of MASC the North West is continuing to grow ,so any NEW members, we would love to meet you , we are a very active club with many events and runs planed for this year already . The first being Valentines Day run & Lunch on the 10th Feb , time & place TBA soon. Bookings are still being taken for our club weekend away in Dumfries @ the Cairndale Hotel. 26th to 29th of April , all that have booked so far are doing the 3night stay, at the very good price of £60 per night Dinner B/B. If you would like more Info please contact us. Ian Feeney , has asked me to send out this request , if anyone attending the meeting on Wednesday has the part he’s mentions below and could bring along that would be great. Could you do me a favour please and email out to see if anybody has a boot striker plate I can borrow for a few weeks – will return it when mine shows up but need one urgently for aligning the back end when the new panels are being welded on. Steve Keil has ask me to send out the information below as he is looking into a problem that Stuart has with the seals on his New callipers. if anyone has any spare braided hoses, either new or previously used to measure the thickness of the banjo connection. You may be aware that Stuart Macfarlane via one of the online forums had reported problems in being able to seal the connections with his new callipers and was so frustrated that he reverted to his previously used items. He offered the new units for investigation which I accepted and he delivered them to me. Although they are possibly on eastern origin I would consider them to have been well made and perfectly good for use as I have had no problem in obtaining a seal using standard rubber hoses but there is a possibility that if the braided hose union is even slightly thinner than the standard hose, in conjunction with the thinner copper washers that now seem to be supplied and the limited length of thread on the banjo bolt it is possible that insufficient load is being applied during bolt tightening to effect a seal. Stuart is intending to come to our next meeting with a view to joining MASC. If you could please ask around it would be much appreciated. I have decided to CANCELL the Cars & Coffee meeting at the Kilton this Sunday 15th July & also the meeting on the 19th August 2018 , There seems to be quite a lot of events & holidays over these two months . So the last meeting of Cars & Coffee at the Kilton Inn, will be September 16th 2018. We hope to try and advertise the venue and meeting place much wider in 2019 , as we still think this could be a great venue to attract many Classic Car Clubs. Hope to see you there in September. So hope to see you on Wednesday , Oh faithful ones !!!!!! !